The Orthodox Church was founded by our Lord Jesus Christ and is the living manifestation of His presence in the history of the mankind. The most conspicuous characteristics of Orthodoxy are its rich liturgical life and its faithfulness to the apostolic tradition. 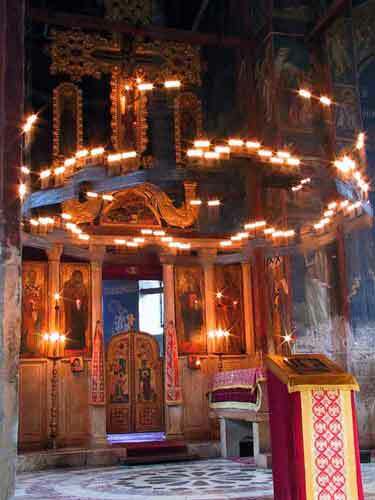 It is believed by Orthodox Christians that their Church has preserved the tradition and continuity of the ancient Church in its fullness compared to other Christian denominations which have departed from the common tradition of the Church of the first 10 centuries. Today the Orthodox Church numbers approximately 300 million Christians who follow the faith and practices that were defined by the first seven ecumenical councils. The word orthodox ("right belief and right glory") has traditionally been used, in the Greek-speaking Christian world, to designate communities, or individuals, who preserved the true faith (as defined by those councils), as opposed to those who were declared heretical. The official designation of the church in its liturgical and canonical texts is "the Orthodox Catholic Church" (gr. catholicos = universal). There are also "autonomous" churches (retaining a token canonical dependence upon a mother see) in Sinai, Crete, Finland, Japan, China and Ukraine. In addition there is also a large Orthodox Diaspora scattered all over the world and administratively divided among various jurisdictions (dependencies of the above mentioned autocephalous churches). The first nine autocephalous churches are headed by patriarchs, the others by archbishops or metropolitans. These titles are strictly honorary as all bishops are completely equal in the power granted to them by the Holy Spirit. In the wider theological sense "Orthodoxy is not merely a type of purely earthly organization which is headed by patriarchs, bishops and priests who hold the ministry in the Church which officially is called "Orthodox." Orthodoxy is the mystical "Body of Christ," the Head of which is Christ Himself (see Eph. 1:22-23 and Col. 1:18, 24 et seq. ), and its composition includes not only priests but all who truly believe in Christ, who have entered into the Church He founded, those living upon the earth and those who have died in the Faith and in piety." The Great Schism between the Eastern and the Western Church (1054) was the culmination of a gradual process of estrangement between the east and west that began in the first centuries of the Christian Era and continued through the Middle Ages. Linguistic and cultural differences, as well as political events, contributed to the estrangement. From the 4th to the 11th century, Constantinople, the center of Eastern Christianity, was also the capital of the Eastern Roman, or Byzantine, Empire, while Rome, after the barbarian invasions, fell under the influence of the Holy Roman Empire of the West, a political rival. In the West theology remained under the influence of St. Augustine of Hippo (354-430) and gradually lost its immediate contact with the rich theological tradition of the Christian East. In the same time the Roman See was almost completely overtaken by Franks. Theological differences could have probably been settled if there were not two different concepts of church authority. The growth of Roman primacy, based on the concept of the apostolic origin of the Church of Rome which claimed not only titular but also jurisdictional authority above other churches, was incompatible with the traditional Orthodox ecclesiology. The Eastern Christians considered all churches as sister churches and understood the primacy of the Roman bishop only as primus inter pares among his brother bishops. For the East, the highest authority in settling doctrinal disputes could by no means be the authority of a single Church or a single bishop but an Ecumenical Council of all sister churches. In the course of time the Church of Rome adopted various wrong teachings which were not based in the Tradition and finally proclaimed the teaching of the Pope's infallibility when teaching ex cathedra. This widened the gap even more between the Christian East and West. The Protestant communities which split from Rome in the course of centuries diverged even more from the teaching of the Holy Fathers and the Holy Ecumenical Councils. Due to these serious dogmatic differences the Orthodox Church is not in communion with the Roman Catholic and Protestant communities. Some Orthodox theologians do not recognize the ecclesial and salvific character of these Western churches at all, while others accept that the Holy Spirit acts to a certain degree within these communities although they do not possess the fullness of grace and spiritual gifts like the Orthodox Church. Many Orthodox theologians are of the opinion that between Orthodoxy and heterodox confessions, especially in the sphere of spiritual experience, the understanding of God and salvation, there exists an ontological difference which cannot be simply ascribed to cultural and intellectual estrangement of the East and West but is a direct consequence of a gradual abandonment of the sacred tradition by heterodox Christians. 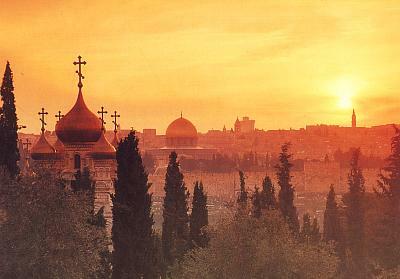 At the time of the Schism of 1054 between Rome and Constantinople, the membership of the Eastern Orthodox Church was spread throughout the Middle East, the Balkans, and Russia, with its center in Constantinople, the capital of the Byzantine Empire, which was also called New Rome. 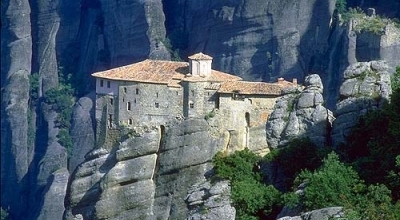 The vicissitudes of history have greatly modified the internal structures of the Orthodox Church, but, even today, the bulk of its members live in the same geographic areas. Missionary expansion toward Asia and emigration toward the West, however, have helped to spread the presence of Orthodoxy worldwide. Today, the Orthodox Church is present almost everywhere in the world and is bearing witness of true, apostolic and patristic tradition to all peoples. The Orthodox Church today is an invaluable treasury of the rich liturgical tradition handed down from the earliest centuries of Christianity. The sense of the sacred, the beauty and grandeur of the Orthodox Divine Liturgy make the presence of heaven on earth live and intensive. 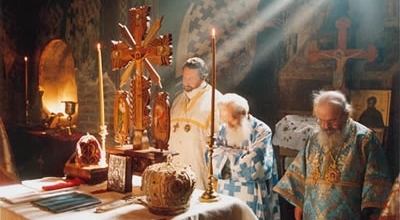 Orthodox Church art and music have a very functional role in liturgical life and help even the bodily senses to feel the spiritual grandeur of the Lord's mysteries. Orthodox icons are not simply beautiful works of art which have certain aesthetic and didactic functions. They are primarily the means through which we experience the reality of the Heavenly Kingdom on earth. The holy icons enshrine the immeasurable depth of the mystery of Christ's Incarnation in defense of which thousands of martyrs sacrificed their lives. Excerpt taken and adapted by the Orthodox Christian Information Center from The Orthodox Church by Bishop Kallistos (Ware).